The behind-the-scenes story of how classical musicians joined with indigenous drummers for a stunning performance of Natural History, a new composition by Michael Gordon inspired by Oregon’s breathtaking Crater Lake. Featuring the Britt Orchestra and the Klamath Tribe drum group Steiger Butte Singers, in a dynamic interaction between this extraordinary musical experience and the spectacular setting. Special live performance by the Steiger Butte Singers & Drummers! 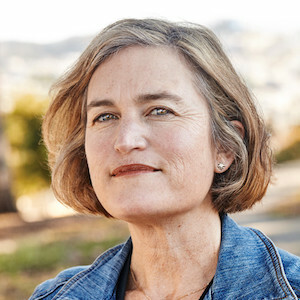 Anne Flatté is a documentary filmmaker based in San Francisco. She is director/producer of the original web series Music Makes A City Now (YouTube/PBS.org), producer of the feature documentary Serenade for Haiti (World Premiere, DOC NYC 2016) and co-producer of Music Makes A City (PBS National Broadcast, 2014). Anne has an M.A. in documentary film and video production from Stanford University where she directed the award-winning shorts Interlove Story and Body of Tradition.